City hall will issue tax receipts for donations toward a proposed sustainability centre in Brockville, located at or near the Aquatarium. An international working group, set up at a UNESCO-backed international conference here in 2013, aims to create a proposed International Centre for Sustainable Rural Communities (ICSRC), which would be located in Brockville, working in tandem with Queen’s University and the Aquatarium. 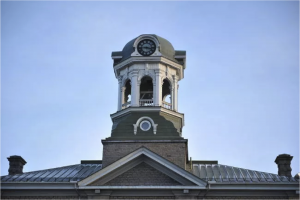 A report to councillors by economic development director Dave Paul notes the project’s proponents want to prepare a formal prospectus for April of this year. The organization is incorporating as a non-profit entity and applying for charitable status. The plan is to locate the new centre in downtown Brockville, and possibly in the Aquatarium. Proponents are eager to forge links with the city’s river-themed anchor tourist attraction. But at last week’s planning committee meeting, members made it clear that, while they agree with issuing tax receipts, they are not contemplating contributing to the project financially. Dr. Ellie Bennett, the ICSRC’s project manager, welcomed council’s decision. “It will really help us to move the project forward,” she said Wednesday. The group needs $70,000 for this stage of the project, said Bennett, who estimates fundraising is at about the halfway point. “The council motion is a big step forward for us to be able to attract more donations,” said Bennett. She is scheduled to make a presentation on the ICSRC to a Transition Brockville meeting, slated for Sunday, Feb. 26 at the Brockville Public Library. That meeting begins at 2 p.m.